Perfect for CX’ing in mud or grinding some gravel! 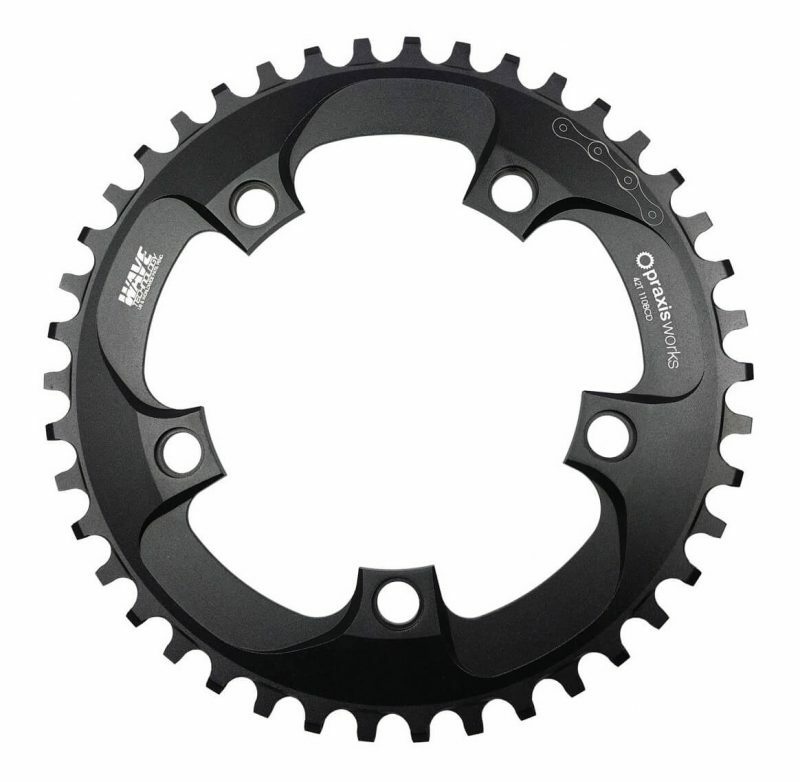 With its Wave tooth profile, the Praxis Works 1x Cyclocross/Gravel Chainring gets the job done whether you’re CX’ing in mud or grinding some gravel! The Wave profile applies alternating lateral force to each chain link to actively retain the chain to the ring – a huge step beyond typical narrow/wide rings that rely solely on friction. Praxis 1x rings are machined from 7075 T6 aluminum for superior stiffness and are hard anodized for additional durability.